The headline says it all! Today, I wanted to show you 12 Lightroom before and after examples of images that have been edited exclusively with LIghtroom. Because one common misconception about Lightroom is that it is mainly for image management, or for making simple editing adjustments like exposure and white balance, but that you really need something like Photoshop to edit your images creatively. Once you get to know what can be done in Lightroom. you will be amazed at just how much you can do in this program. So, yes image management is a HUGE benefit to using Lightroom, but don't make the mistake of thinking that is ALL it can do. I've personally been using Lightroom as my main editing program for at least a couple of years now (having previously been exclusively a Photoshop gal) and the more I get to know it, the more delighted I am with what it can do with editing my photos! I now edit around 95% of my images exclusively in Lightroom (because it is quicker and easier to do there - see how here) and only take some images into Photoshop - and usually for cloning something tricky out. If you are new to Lightroom and still getting to grips with the program, then make sure you download my Lightroom Starter Kit! It has an importing guide, an editing checklist so you know what to do and when to do it, and an export cheat sheet. There is even three presets in there for you! The best bit? It's totally free 😍. Right, let's crack on with our 12 LIghtroom before and after photo examples that have been edited ONLY with Lightroom, so you can get just a little bit of an idea of just some of the things you can do with this program! 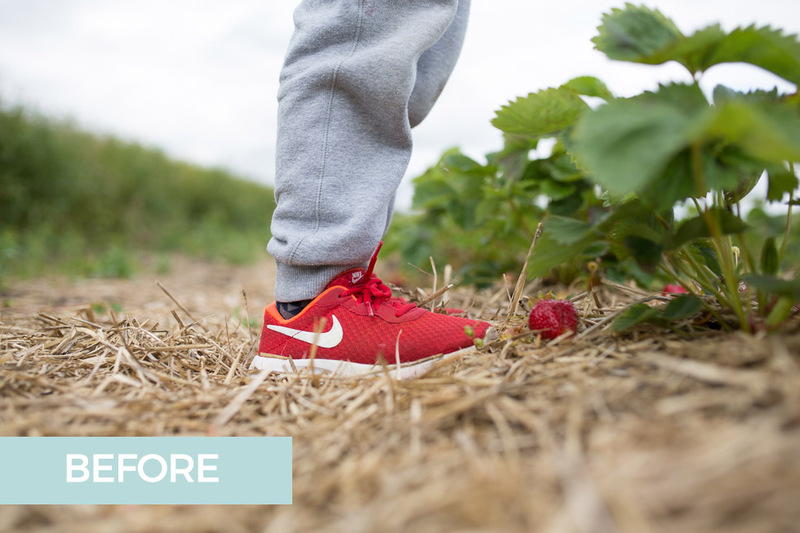 I hope these before and after photo examples has shown you just a small amount of the things you can do in LIghtroom! Don't forgot to download your Lightroom Starter Kit too! Grab it now just by clicking on the image below.